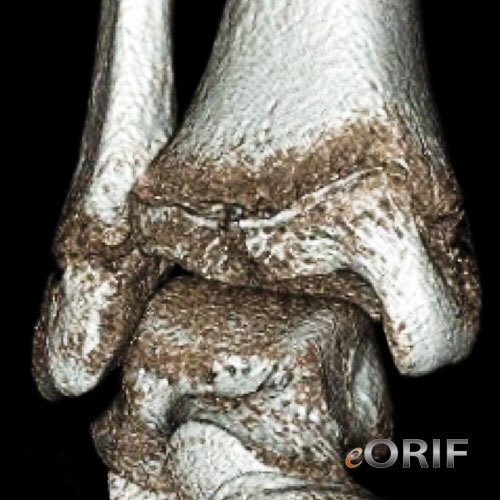 A Salter-Harris type II distal tibial fracture involving the anterolateral distal tibia. 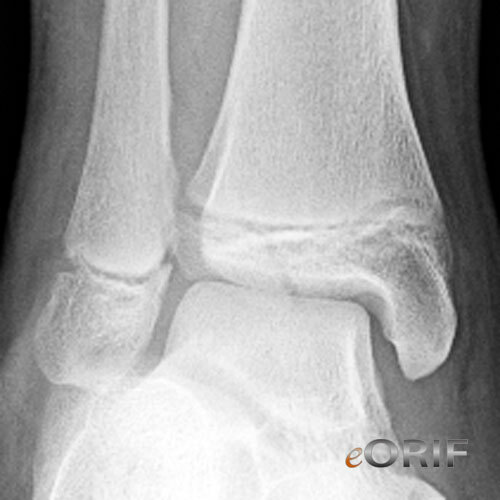 A form of transitional ankle fracture related to the asymmetric pattern of distal tibial physeal closure. Thought to be caused by external rotation forces. 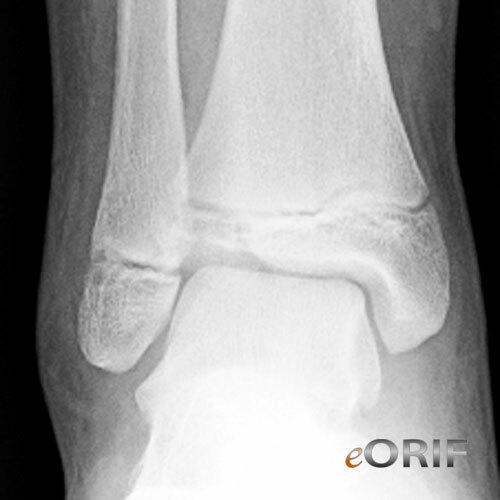 Fracture results from avulsion by the anterior tibiofibular ligament. Distal tibial growth plate closure starts anteromedially, progresses posteriorly and laterally and finishes anterolaterally. 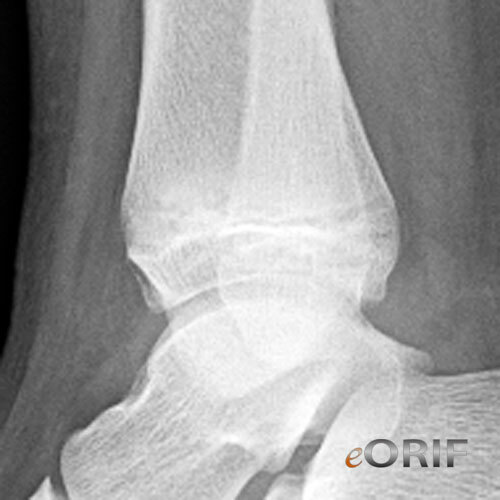 Pain and deformity in the ankle, degree dependent on fracture severity. Evaluate skin integrity, swelling, and neurovascular status of the leg/foot. A/P, lateral and mortise views of the ankle. 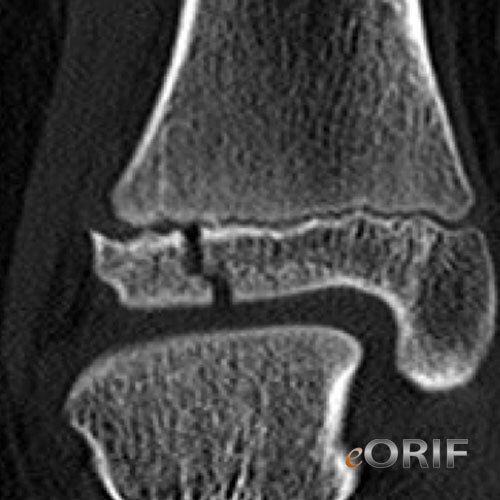 Appears like a Tillaux fracture on A/P and mortise views. CT generally indicated. Demonstrates that fracture line does not extend through the anterior cortex. (Horn BD, JPO 2001;21:162). 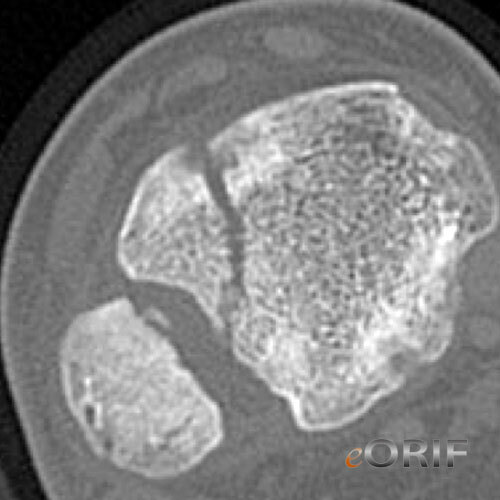 MRI generally not indicated although can provide information on ligamentous and physeal injury. (Lohman M, Skeletal Tadiol 2001;30:504).